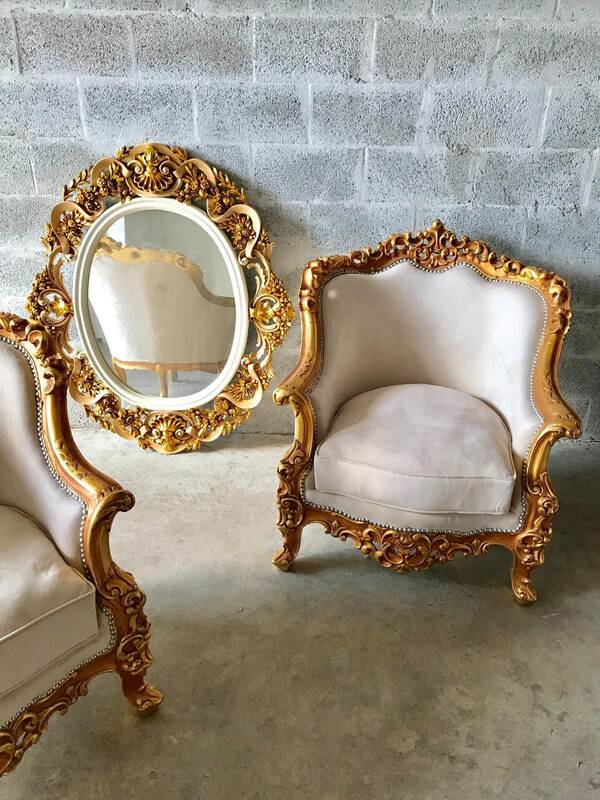 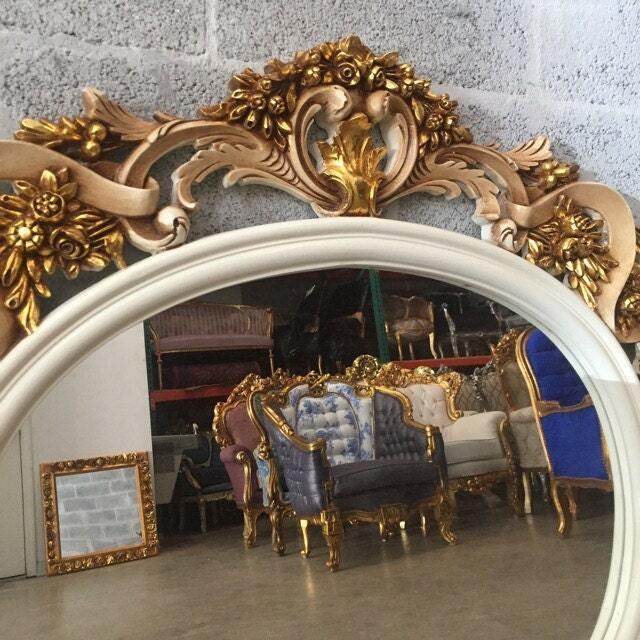 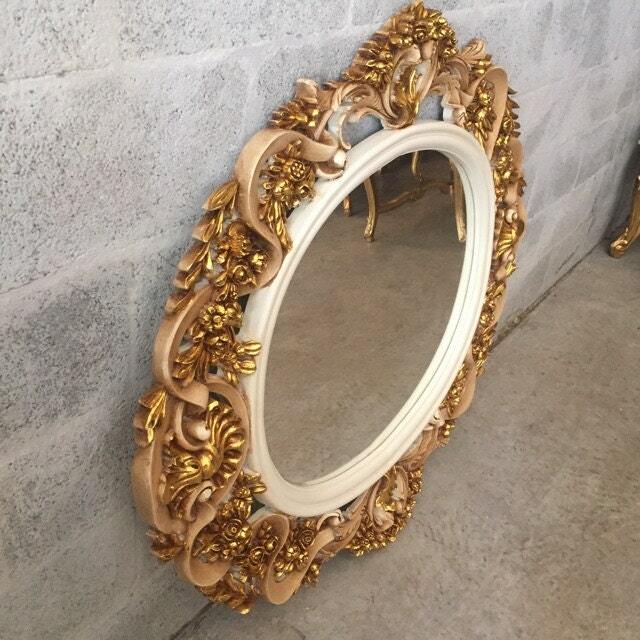 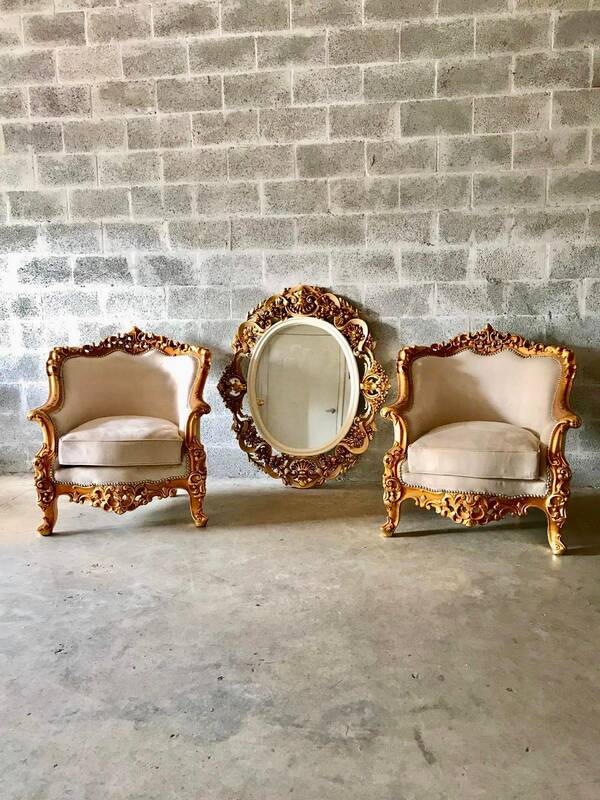 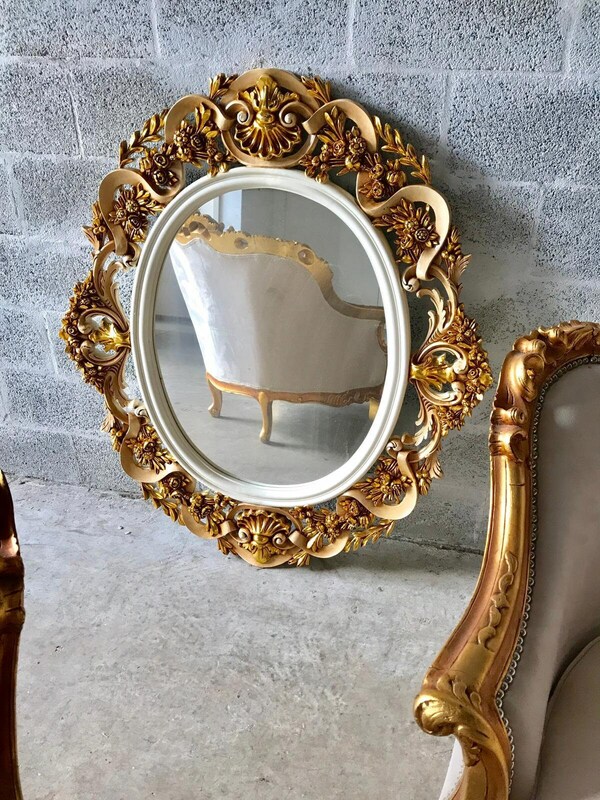 Listing for 1 oval large mirror as shown on photos. 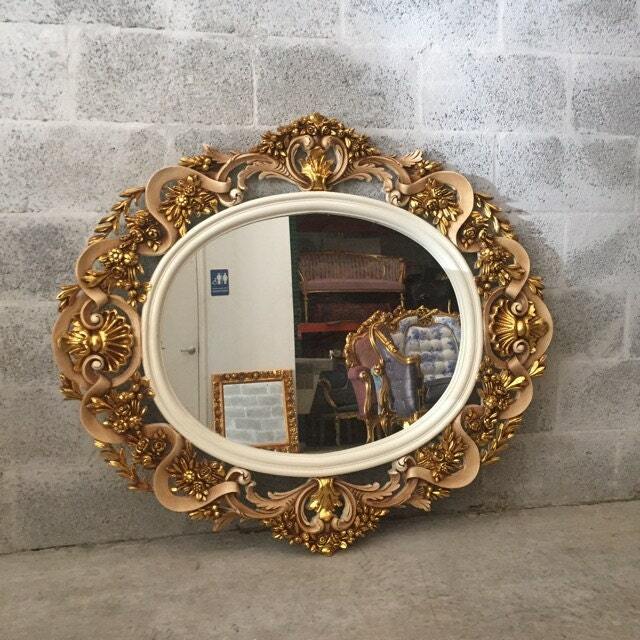 This was hand carved by experts in Europe. 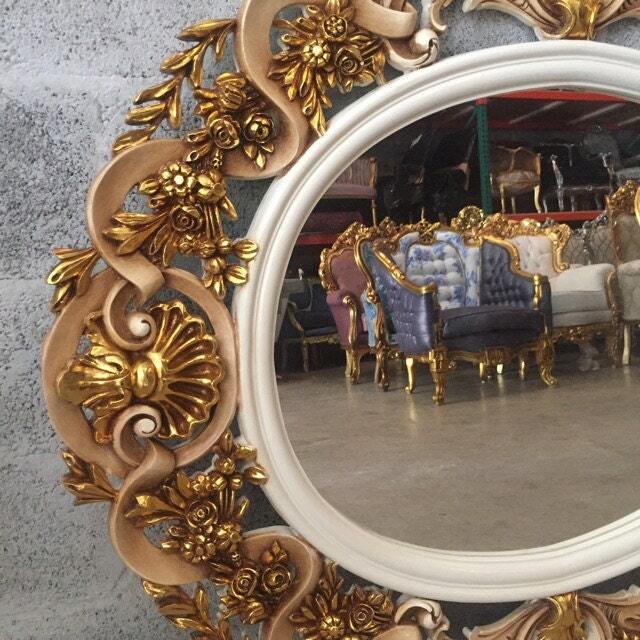 Should be hung on wall. 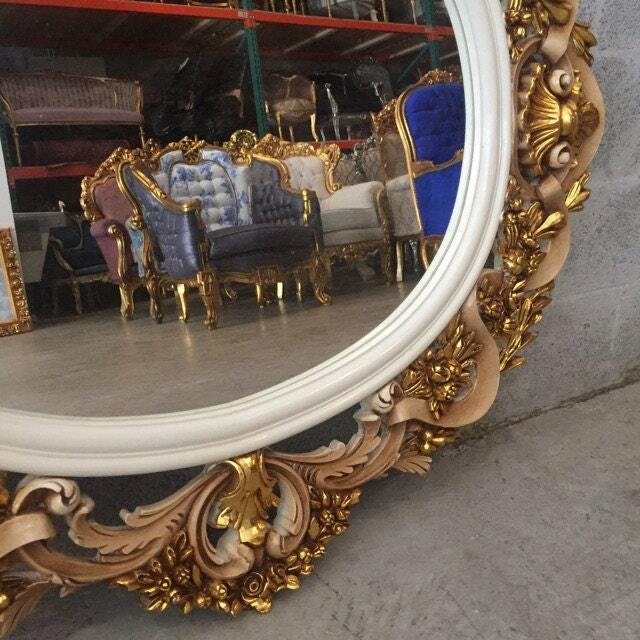 It has white and gold finishes.